The 2013 West Central Promenade was held at the WCHS Gym, rural Biggsville at 4:00 p.m. and was well attended! 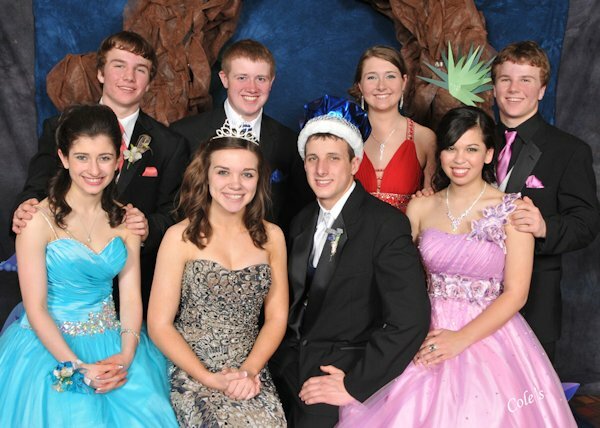 Prom was held in the Pzazz Convention Center in Burlington, Iowa, from 7:00 p.m. to 11:00 p.m., Saturday, April 13. Crowned as the 2013 Junior Prom King and Queen were King Shafer McKune & Queen Emma Alexander.